The new cd is not "out" yet but you can get a copy by clicking on the store link or by visiting the album page. Also on the page are album details and song lyrics to the 2 that have them. Response to the lead-off single has been very positive. Shipments of "Encouragements" to radio stations and review mags began on New Year's Eve. Here we go!! I was happy to see a bunch more stations pick up "Nativity Set" for the holidays, including one in Honolulu. I wouldn't mind spending Christmas there sometime. Thanks to all the mds and djs for treating me so nice and making the holiday bright. At this very moment I'm listening to John Scofield's A Go Go - which, it's just been confirmed, is still my favorite jazz album. Just too funky and direct. One of these days I'll get brave and listen to the later one they did - I wasn't wowed by what I heard on the radio. Til then - this one's bliss. 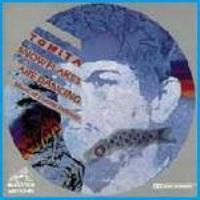 Over the holidays I picked up Tomita's Planets. All I can say is Oh me garshk. "Snowflakes are Dancing" has been on my mp3 player for about a year, but I had no idea this one would be such a mind blower. I've also been checking out music from some electronic net-labels lately. Some of the real good ones seem to be calling it a day - and I'm not sure how I feel about music being free, when so many downloaders get it that way illegally. A person's song should cost you something to have forever and take with you everywhere, a dollar seems like a bargain. On the other hand I can't say I'm not happy when music offered for free is also very good. 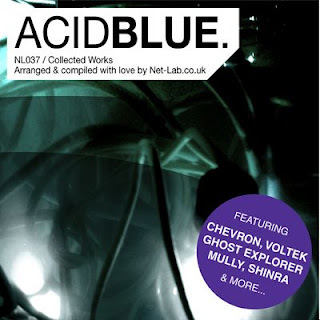 One such album I've enjoyed a lot is "Acid Blue", one of the final offerings from the Net-Lab label. It is what it says, lots of acid, by various artists. It's all pretty solid - my favorites being by the artist Shinra, and Idiron Soundtrack.